We’d love your help. Let us know what’s wrong with this preview of The Hug by Eoin McLaughlin. 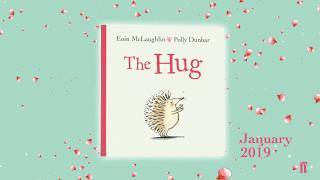 In this clever flipbook, both a hedgehog and a tortoise are looking for a hug. They ask all the other animals they come across but for some reason no one will hug them. Until a wise owl explai Hedgehog was feeling sad. 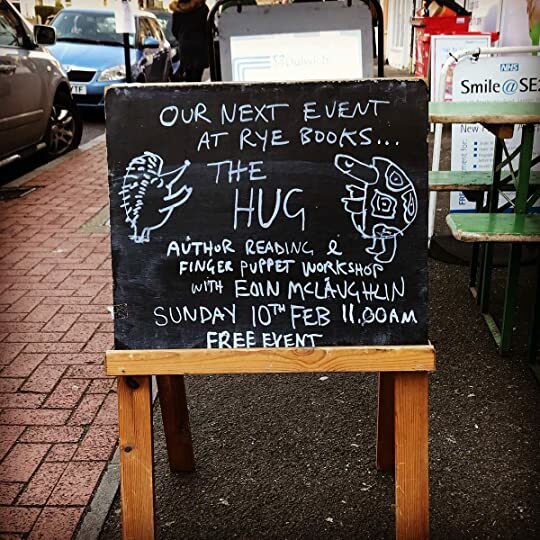 To ask other readers questions about The Hug, please sign up. Start from front or start from back...you will end up in the same place, smack in the middle, a place of joy. Two stories are one story and they are all about the difficulty of connecting. 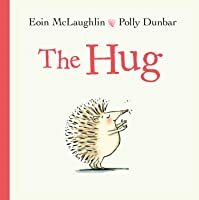 It's a delight of a little picture book, with big fun illustrations and sly text, and it always ends in deep happiness. This review has been hidden because it contains spoilers. To view it, click here. Very cute story about a hedgehog and a tortoise who are both feeling sad and looking for a hug from someone, anyone. The book is a flipped-end arrangement, with each animal having their own beginning. When they are both even sadder than they were to begin with, a wise owl assures them, "there's someone for everyone." And sure enough they meet in the center of the book for an amazing hug! Simple, colorful illustrations of various animals with minimal background illustrations. A rather clever picture book about two creatures seeking hugs. Due to their lack of a warm and squishy body type neither hedgehog nor tortoise is considered optimal hugging material. Read the story from hedgehog's point of view, flip it over and see it through tortoise's yes. Will this pair ever find someone willing to hug? This is a three minute read tops. But it makes you feel all warm and fuzzy inside for much longer than that. Very sweet, double sided story. Oh, my goodness. How cute is this? The two-stories-in-one format is simple but wonderfully executed, and the animals of the British countryside were a delight to look at--fantastic expressions, too. Cute illustrations and story. It took me a while to figure out how to read it. Particularly appropriate on Valentine's day - and only takes 5 mins. Lovely story of homecoming and belonging, with a twist.